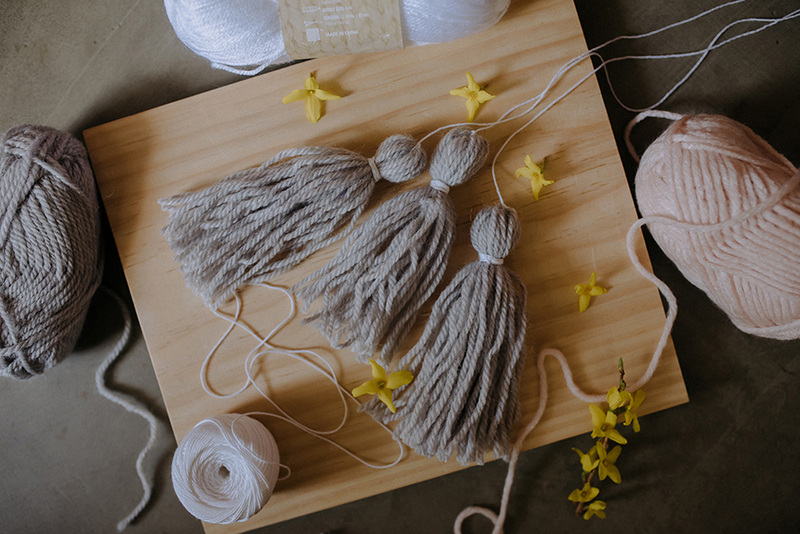 It’s official - tassels are a hot fashion trend and we’re also beginning to see them make a statement in the world of weddings. 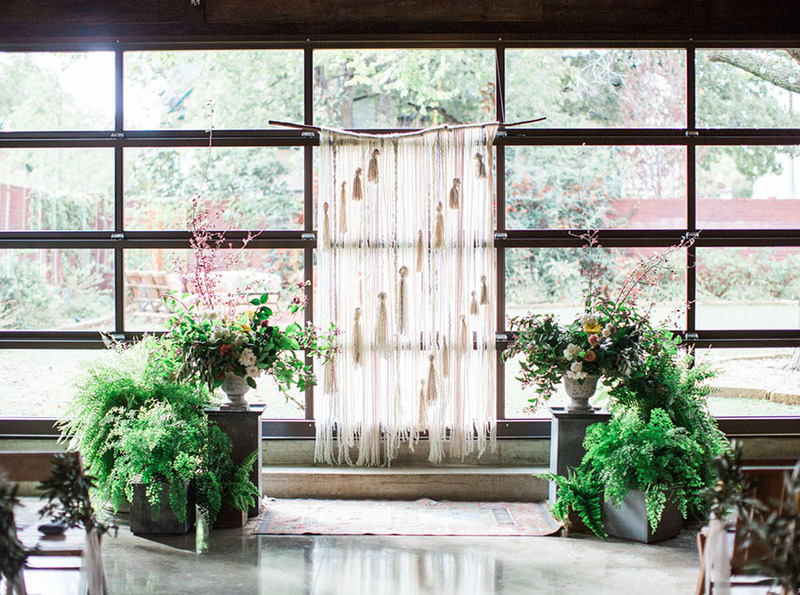 This fringe-tastic detail instantly adds boho flair to a celebration and here to help you create your own yarn tassel wedding backdrop is florist and stylist Fiona Treadwell with photos by Smittenpixels Photography. 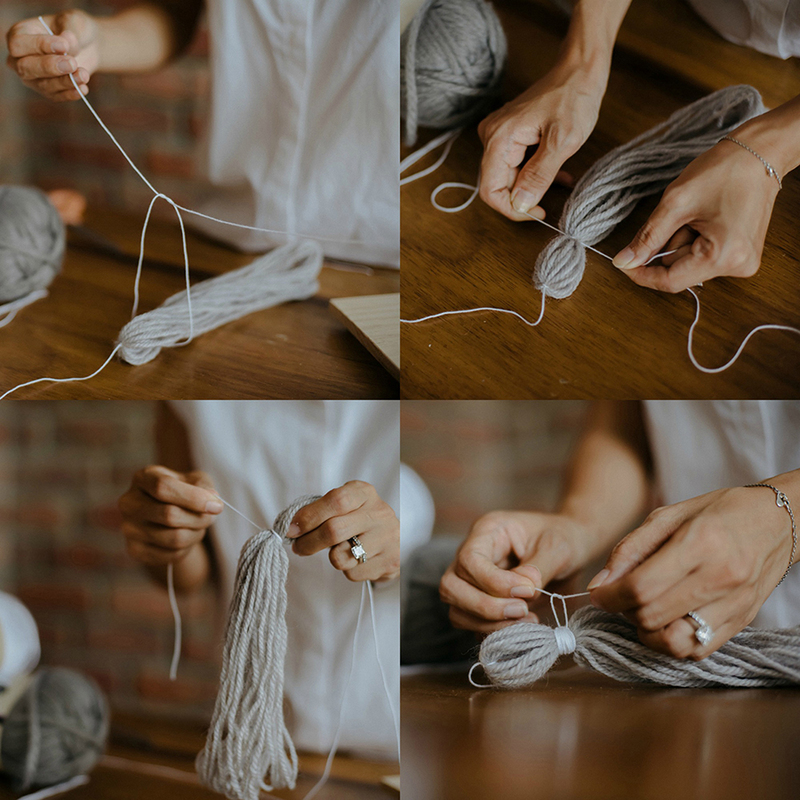 Fiona: Yarn tassels are trending worldwide. 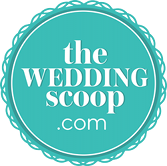 People are using them as décor at weddings – for the bride and groom’s chairs, accent pieces for the reception, photo booth backdrops etc. 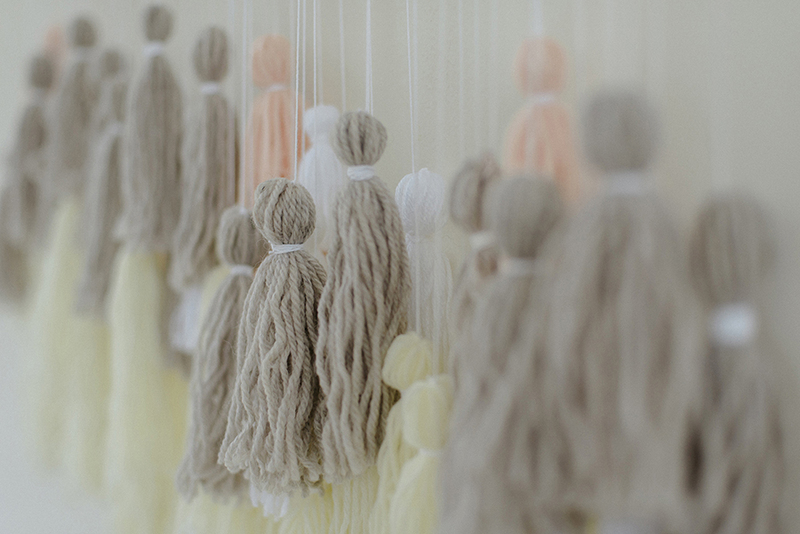 They add a nice touch of texture and can be customised to the color palette of your wedding. They are also inexpensive (this tutorial’s backdrop cost less than $30) and really easy to make once you get into the groove of it. 1. 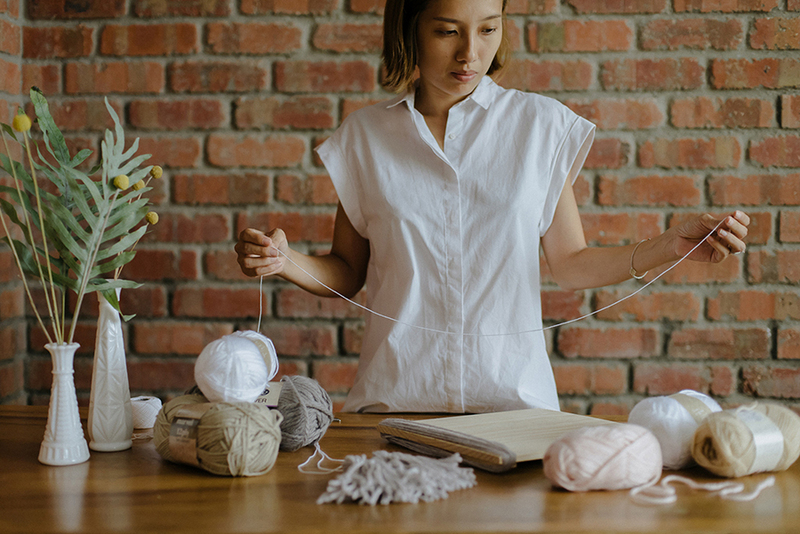 A ball of yarn usually makes 5 – 6 tassels. 2. The height of the plank determines the length of the tassels so if you want them longer, use a bigger plank. 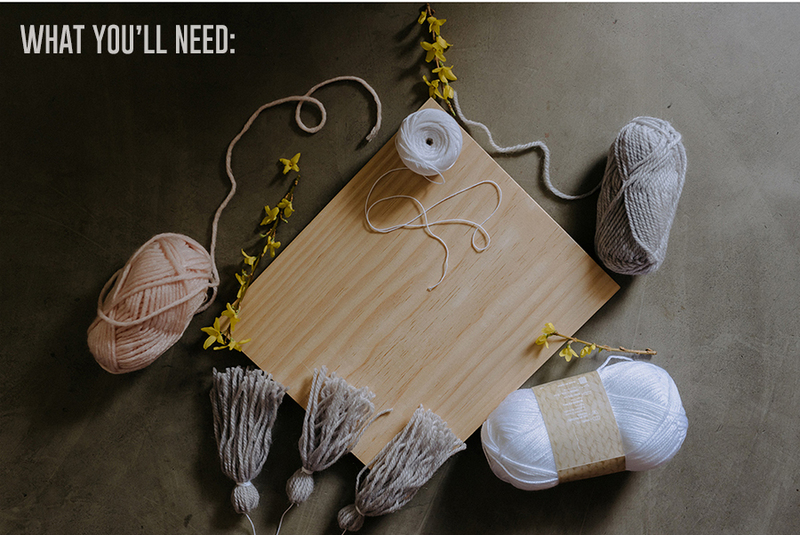 Step 1: Wind yarn around the plank. A good 30 – 35 rounds for a 15-cm tall plank will ensure a plump tassel. Step 2. Slide the wound yarn to the edge of the plank. Step 3. 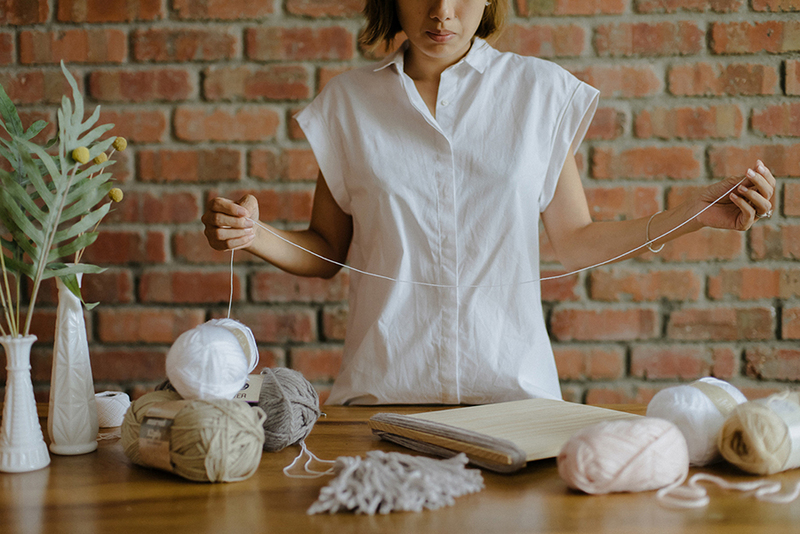 Cut two pieces of the thin cotton thread – one about 1.2-m long and another about 30 – 40-cm long. Step 4. 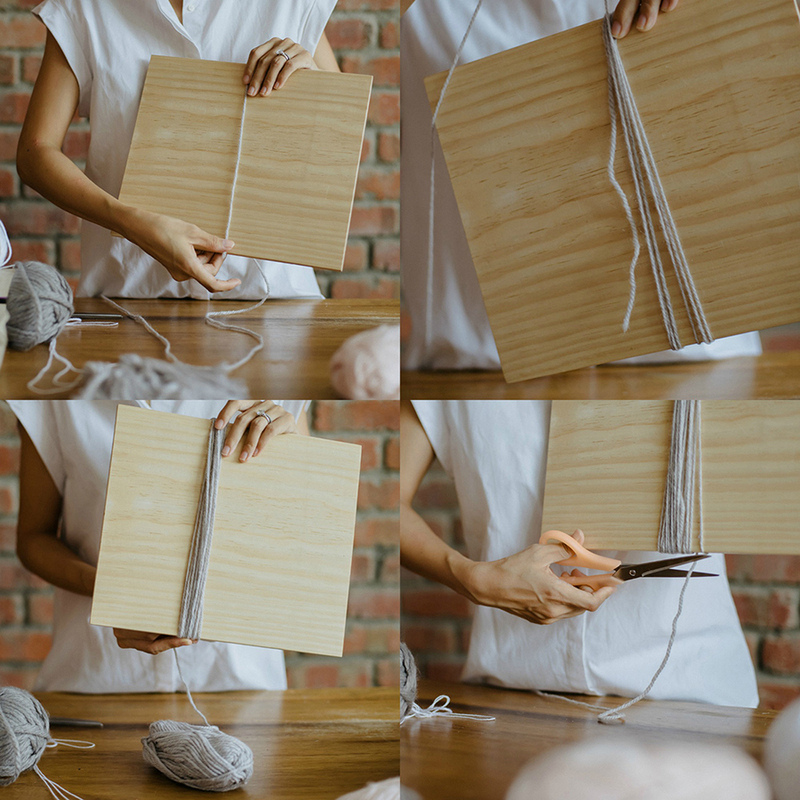 Remove the wound yarn from the plank. 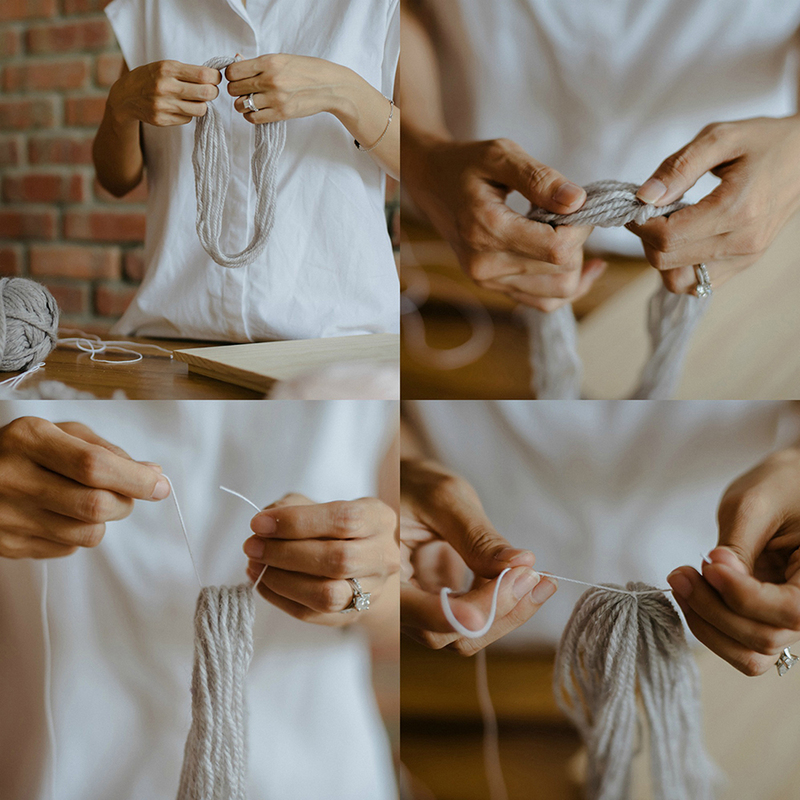 Using the longer piece of thread (1.2m), go through the opening of the wound-up yarn. 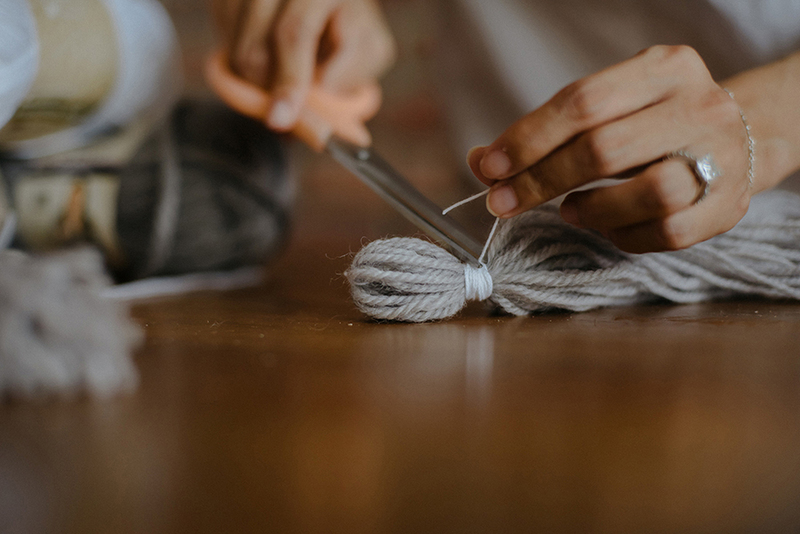 Tie it in a double knot and cut the excess thread. Step 5. 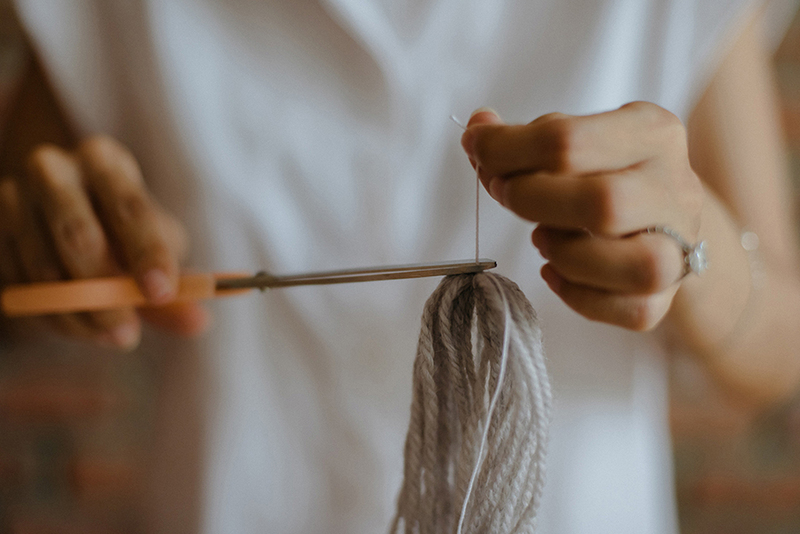 Use the shorter thread (30 – 40cm) and tie it tightly about 3 – 5cm from the top. 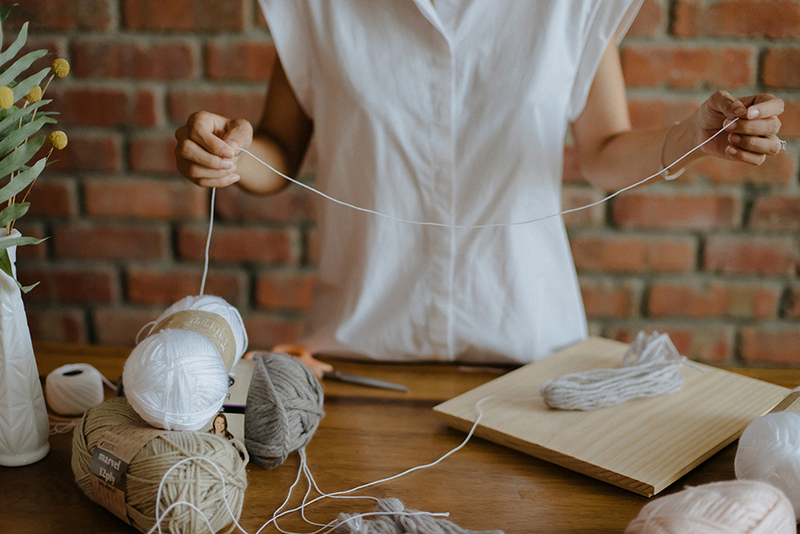 Wind the entire thread around the yarn, and end it with a double knot. Cut the excess thread. Step 6. Slide your fingers down the tassel as if trimming one's hair and snip right below your fingers – this will ensure your tassels have straight ends. Step 7. 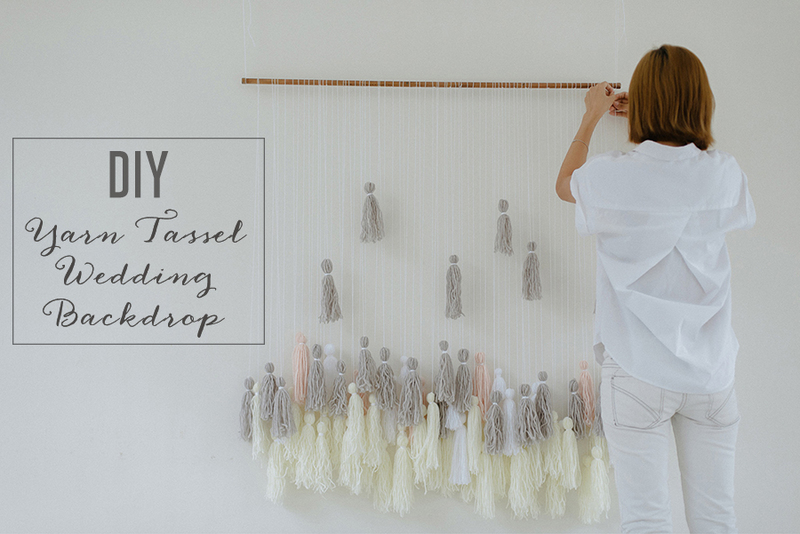 Assemble the tassels on the long pole with white thin threads of various heights. Start attaching the tassels to the longest white thin threads, starting at the base first (in this case, mine's off-white). 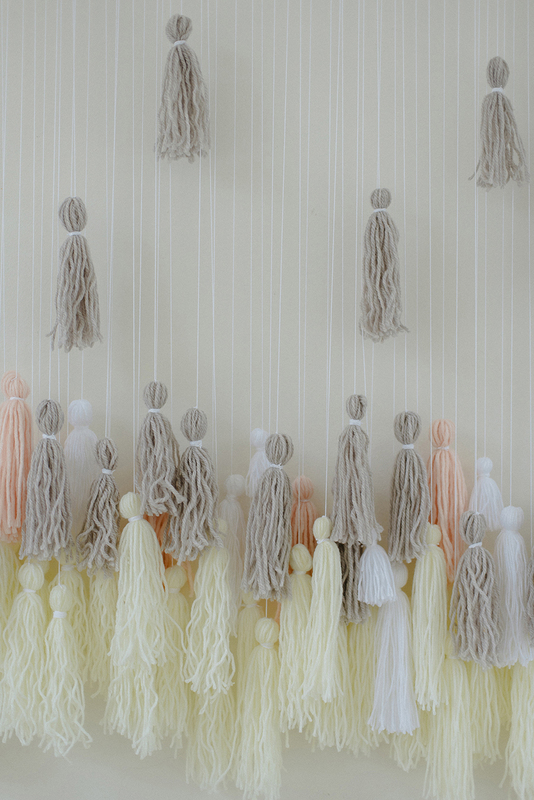 Then, add in the the main colour (grey) and the other pink and white tassels for a pop of colour. 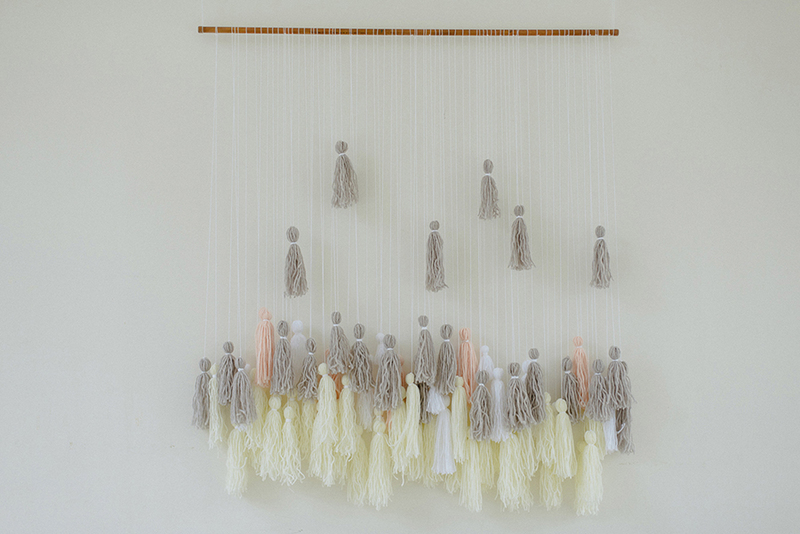 Tassel altar backdrop DIY-ed by the bride and bridesmaids via Green Wedding Shoes. 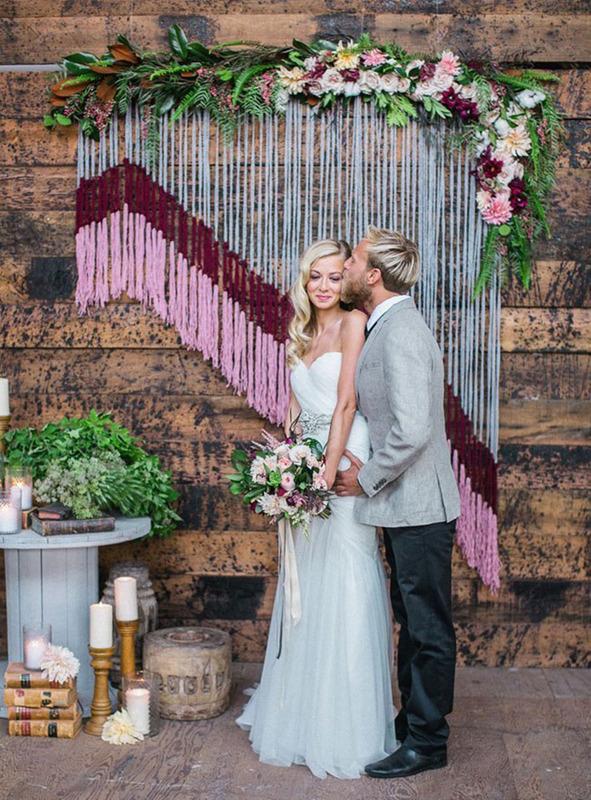 Tassel backdrop by Lindye Galloway via Green Wedding Shoes. 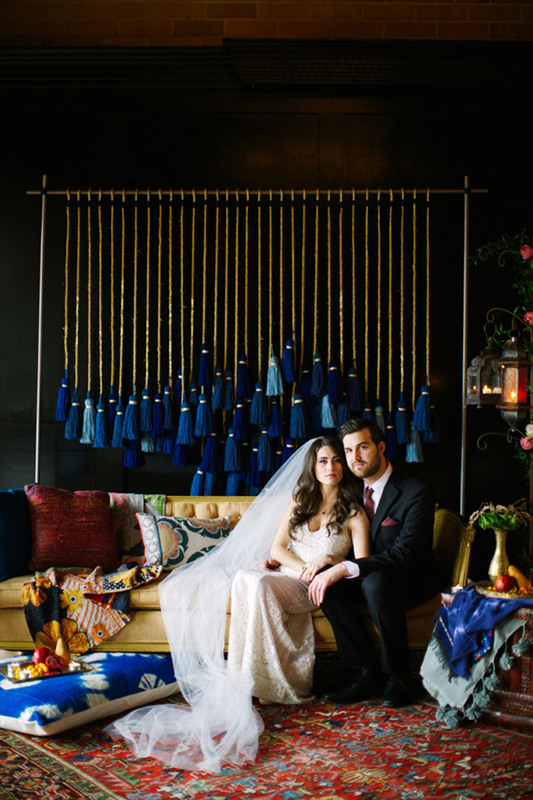 Midnight blue tassel backdrop by Studio Cultivate via Ruffled.